“This course has helped me to regain my self-worth, therefore it will help me in all areas of life”. “I feel very proud of myself ... I have skills I didn’t realise I had." From 2002-06 Angela was the Arts Coordinator to the Koestler Trust: art by offenders and founder of the innovative Learning to Learn through the Arts Scheme. On leaving, the scheme was taken over by The Anne Peaker Centre where it became Free Flow Arts. Learning to Learn is a visual arts scheme operating in prisons and young offender institutions designed to open pathways into education and employment. 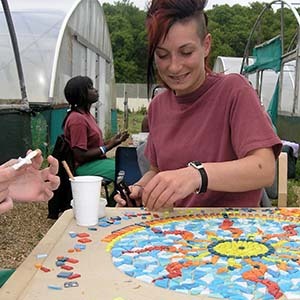 Prisoners participate in 4-6 week intensive art projects involving stimulating and meaningful activities through which they can acquire positive experiences and skills that will improve their employability upon release. 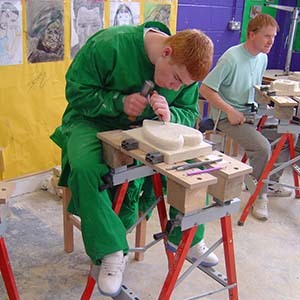 Projects range from painting and mosaic to stone carving and animation. Apart from learning a specific artistic technique participants also develop soft skills essential to their process of desistence. 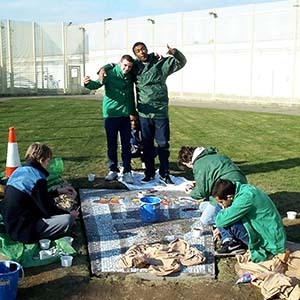 The art facilitators work closely with the prison Education department and Key and Basic Skills accreditations. The combination of the creative approach to learning and the more traditional classroom setting means that people of all different learning styles – visual, auditory or kinesthetic – can benefit enormously. 100% of participants in the Learning to Learn projects said they had learnt something valuable.